In January 2013 TEMPUS project of the fourth stage “Development of education on land resources management issues in Macedonia and Ukraine” (later- Project) finished. It started in January 2010. The coordinator of the Project in Lviv NAU was doctor of economic sciences, Professor Stupen Mykhailo Hryhorovych. New Master program on land resources management issues according to Bologna process was developed. 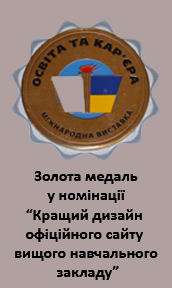 The relevance of design and implementation of this educational program is obvious, because under conditions of functioning of land market in Ukraine there is a need for qualified professionals of land management industry, who could solve the problem for the rational use and protection of land, using market mechanisms of land resources management and the concept of sustainable development of land use. The teachers of land management faculty also developed the new course “Land consolidation” and prepared educational materials on such disciplines as “Economics of land resources”, “Legislature as to nature resources”, “Land resources management”, “Land consolidation”. They used foreign scientific literature and information, obtained during education visits to European universities. In June 2013 the monitoring of tasks implementation of Project in member universities from Ukraine will be held in Donetsk National Technical University. 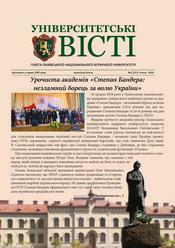 Website of the LNAU contains information about the project and new MSc program TEMPUS Project "LAGOS"
Article in the regional newspaper “Vysokyi Zamok” April, 11, 2011 – “The development of education in the field of land governance in the context of the Bologna Process” / V.Snitinskiy, M.Stupen. Information about Project and new MSc Program is published on the Research and Methodological Forum "Ways LNAU integration into European Higher Education" (December 12-13, 2011, Lviv) – “Preparation of Master Land Governance nt in the context of Tempus-IV” / M.Stupen, P.Kolodiy, N.Stoiko, “Implementation of an educational project in the field land management” / M.Stupen, R.Kuryltsiv. Information about the project and new MSc program was broadcast on local TV (in April, 2011). Article for publication is prepared “Expanding educational space in preparation of specialists of land governance” / P.Kolodiy, N.Stoiko. Information booklet about the master's program “Land Governance” is developed. In 2011-2012 there was exchange of students for the practical training of Geodesy between Civil Engineering Faculty of the University St. Cyril and Methodius and of the Faculty Land Surveying of Lviv National Agrarian University. Such cooperation allows us to share experiences of practice, to use of surveying instruments, to apply new technologies in topography and geodesy for the purposes of Land Management. Also, these measures allow our students to find new friends, see new places and improve English proficiency!